One Duck is a heart-warming story of a duck that gets stuck in the muck…..and all the duck’s marsh friends that help him. Children enjoy joining in with the phrases, ‘Help! Help! Who can help? !’ and chanting with the other animals, ‘We can! We can!’ Apart from learning numbers and counting, kids join in with the important message of helping others. It’s also a great story for learning about different animals and actions. 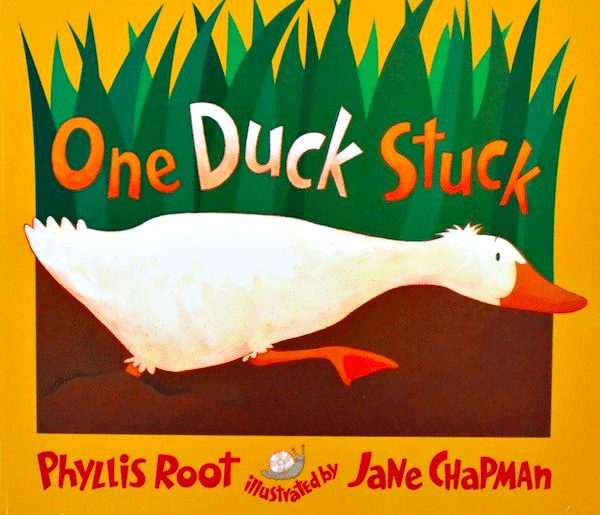 One Duck Stuck Book Read Aloud! 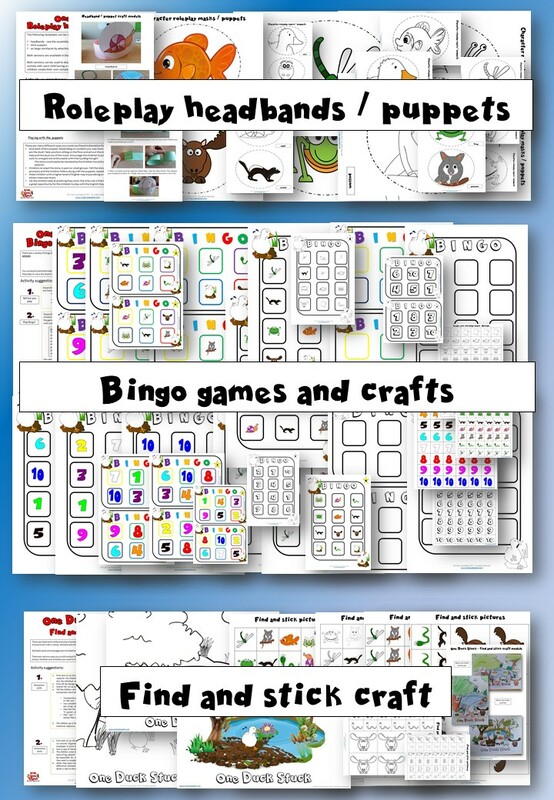 Packed full of crafts, worksheets and games to learn about animals, support colour and number recognition, practise counting, action vocabulary, introduce useful phrases from the story and build on literacy and vocabulary skills. These counting songs are divided into three groups: numbers 1-10; 1-20; 1-100. 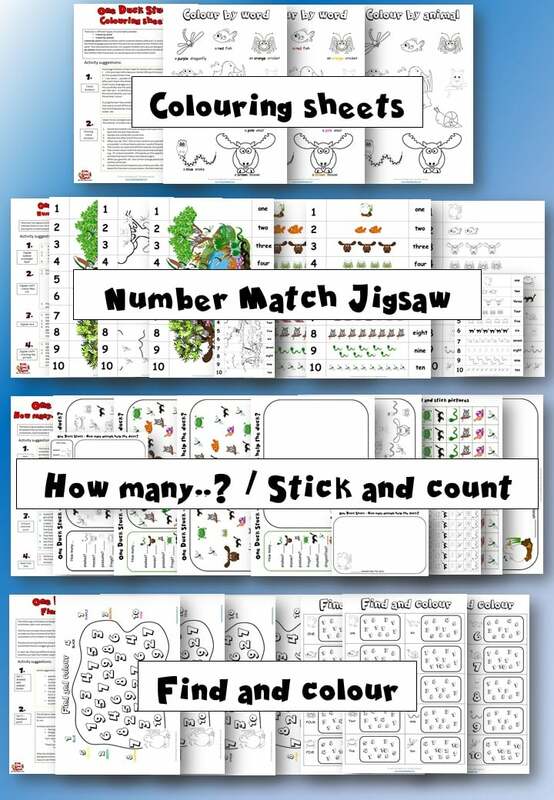 One Duck Stuck focuses on numbers 1-10 but children might want to count all the animals on the page! 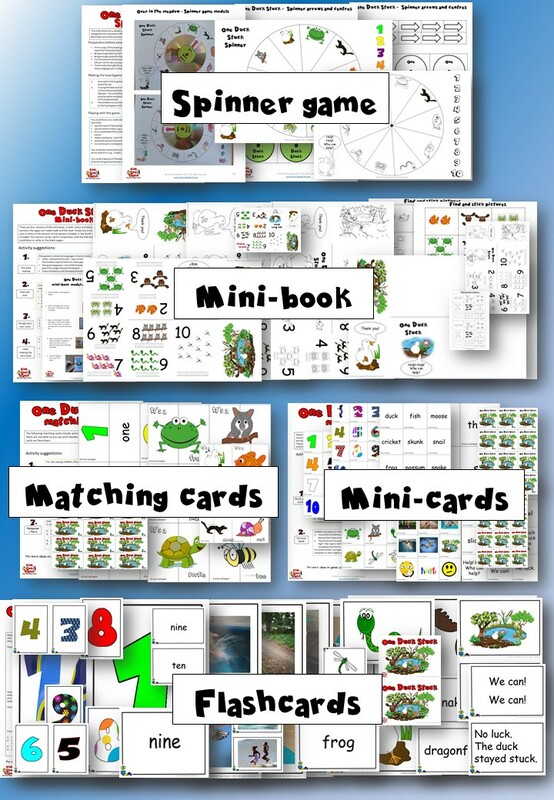 These songs are active and a great way for children to practise numbers.